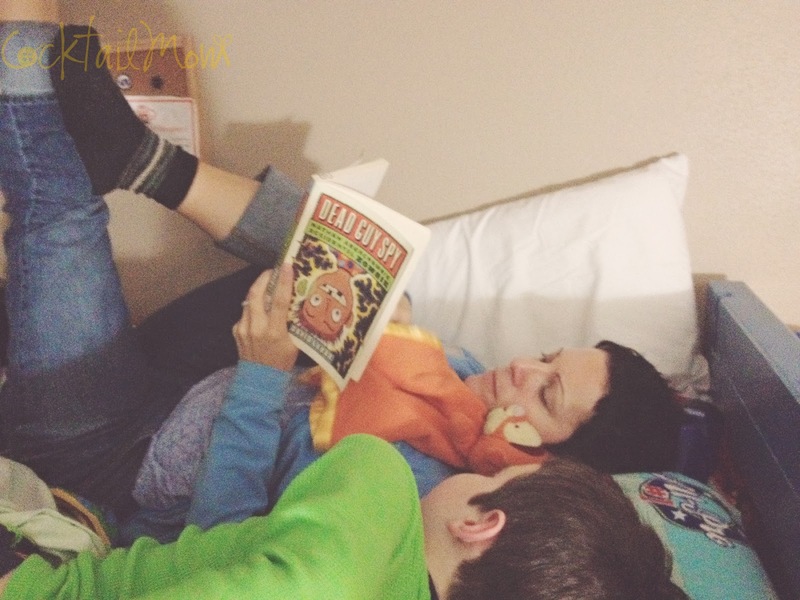 My boys are now eight and ten years old and ever since they were babies we have had the nightly tradition of curling up in one of their beds and reading together. Even though they are both reading on their own, this tradition of me reading to them and snuggled all together is one tradition that I hope we keep for a few more years. If you have boys you are very familiar with the Harry Potter and Diary of a Wimpy Kid series, but have you heard about Nathan Abercrombie? No it's not the store. It's a kid who turns into a zombie! But don't worry it's not scary, in fact it's funny and has us all excited to read the next chapter. "Ten-year-old Nathan Abercrombie used to be an ordinary kid …until he got doused with an experimental serum that turne him into a half-dead zombie. But it turns out being half dead isn’t all bad. He doesn’t need any sleep, and he doesn’t feel pain. Still, Nathan would rather be human. Will he find a cure? Or will Nathan be half-dead forever?" I highly suggest checking out the Nathan Abercrombie series at your local library, your boys will love these books!